The International Bluegrass Music Museum’s Board of Directors announced that Chris Joslin has been named as the organisation’s Executive Director. Joslin is expected to begin working at the Museum in Owensboro, Kentucky on September 1. Joslin brings to the IBMM extensive experience as an Executive Recruiter, including his most recent position with the Sanford Group, a retained search firm out of Nashville, Tennessee. Prior to that, he worked as an operations manager with a healthcare company in Nashville focused on stand-alone physical therapy clinics. Joslin received his Bachelor of Business Administration degree from Belmont University as well as a Masters of Business Administration from Belmont’s Massey School of Business. Active in the Bluegrass and acoustic music scene, he was a founding member of the bluegrass group, Crucial Smith, where he played both banjo and resonator guitar. After touring nationally for several years, the tug of family and career lead Joslin to root himself in Nashville where he still performs and records with artists and groups ranging from Bluegrass and Celtic genres to Americana and Folk. This leadership role with the International Bluegrass Music Museum enables me to fully leverage my background and experience in the corporate realm with my passion and relationships in the bluegrass music world. I can think of nowhere else I would rather devote my career and energy than with the IBMM and the City of Owensboro – Chris Joslin. 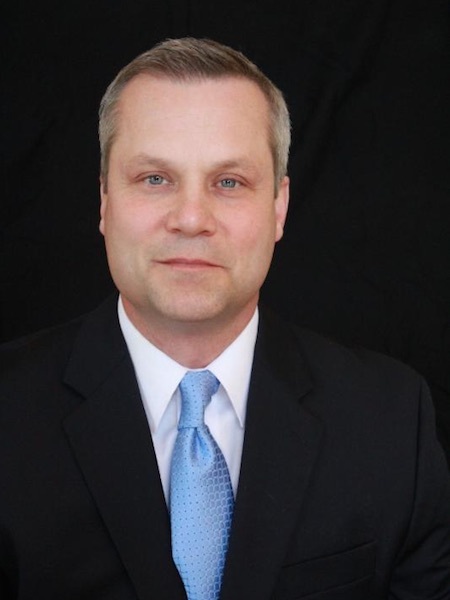 Board Chairman Mike Simpson says that Joslin’s business, as well as musical, experience was exactly what the board was searching for to fill the Executive Director position. In my first meeting with Chris it was clear he possessed all the characteristics our Board was looking for to lead the museum and the future International Bluegrass Music Centre. He has a passion for Bluegrass Music and the Executive pedigree we need to lead this organisation. I am excited about the possibilities for the Centre, Owensboro, and the Commonwealth, with Chris at the helm – Mike Simpson. Joslin says he is excited about his future with IBMM and the City of Owensboro as the organisation prepares to break ground on a new International Bluegrass Music Centre this fall. What drew me to the Museum is the historic preservation – I grew up with the music of Bill Monroe, Flatt and Scruggs, first generation folks – but the museum and ROMP have also done a great job celebrating where the music is and where it’s going. As the museum prepares to break ground on a new facility in downtown Owensboro, it is poised to play an even greater role in preserving, highlighting and celebrating Kentucky’s gift to the world – Bluegrass music. I am honoured to be a part of seeing the hard work of so many become a reality – Chris Joslin. The Mission of the International Bluegrass Music Museum is to gather, preserve, exhibit and disseminate artefacts, history, collections and performance art of the global history of bluegrass music through an educational experience.